holiday | and sure stars shining . . . I rather impetuously booked passage to Tangier, “a Moroccan port on the Strait of Gibraltar, which has been a strategic gateway between Africa and Europe since Phoenician times” according to Wikipedia. I leave on Monday, February 18, less than two weeks from now. The trip will include a cooking class (of course! ), a long day-trip to Casablanca, and plenty of tourist time in the Kasbah and the medina. The return connection gives me a late afternoon/evening and an overnight in Madrid, Spain. A year ago, I put aside some inheritance money to help me have an international holiday. The original plan, Bangkok and Saigon, was scrubbed when I took the Circus Harmony gig. But over this last weekend, I realized that I had a window of about a week that I could use for travel before my sabbatical ended. And Morocco has long been on the list. 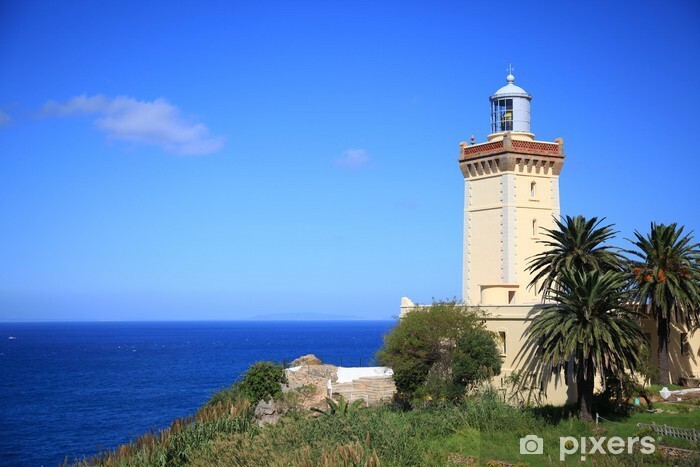 I chose Tangier because of the climate, the ocean, and the option to have a night in Spain. And Casablanca is a rapid-train excursion away. This will be my first trip to Africa. Cape Spartel, where the Atlantic meets the Mediterranean. This entry was posted in Travel 2019 and tagged #worldtraveler, holiday, Morocco, sabbatical on February 6, 2019 by Jeffrey Carter. My 2.5-week summer holiday has commenced, as of the close of the work-day yesterday. Unlike other summers where I’ve taken a full four weeks away from the office, I’m departing for a shorter term this year, since I am music-directing two different shows and only have 1.5 weeks off between the end of The Sweet Smell of Success and the start of rehearsals for Out on Broadway: The Third Coming. But summer holiday is filled, as usual. I’m off to NYC next week, for a short visit and some research. Then I have a dash over to Lee’s Summit and on to Des Moines to see Billy Budd at Des Moines Opera. The next few weeks, until August 10 or so, are still three-days-in-office, and some long weekends. I still have reading to do, and music to compose, and local tourism to do! But I wish I were abroad this summer . . . .
2005. On Nanjing Lu, the main shopping street, Shanghai. From the Church of St. Konstandinos, Hyrda, Greece. Esterhazy, Austria. The tomb of Haydn. JC outside the Estates Theatre, where Mozart conducted the premiere of his opera Don Giovanni. Prague 2009. This entry was posted in Daily Life, Travel, Travel 2015, Travel 2016, Travel 2017, Webster and tagged holiday, Lee's Summit, NYC, vacation on June 23, 2017 by Jeffrey Carter.